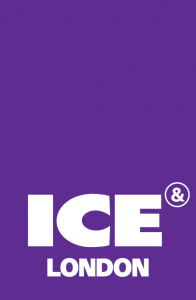 Meet Zeusplay at ICE London 2019, book a meeting here! Zeusplay is participating once again in ICE London, the only B2B gaming event that truly brings together the international online and offline gaming sectors. > we rolled out our new features in VR and HTML5. We made clear our new path to establish Zeusplay as a reliable casino game developer. We believe that Zeus Play solutions will bring more fun & “gamble time” for players as well as operators will be able to make more profit and attract more players to their projects. We are very pleased to add ZEUS PLAY games portfolio to our growing online platform. We are hopeful this deal will be beneficial for both parties as well as for our customers as they appreciate fresh and high quality content. When selecting content for our ever-growing library of games, BetConstruct focuses on providing growth opportunities to our partners. Adding ZEUS PLAY proven games and slots to our Spring platform is another important step in that direction. We are always looking to add top quality content to our game portfolio, and Zeus Play offers just that with its suite of bold and vibrant slots, table and lotto games.